Are there other eBook databases? Our library has licensed almost 30,000 eBooks on ALL subjects and placed URL links to them within the Library Catalog. So any catalog search is likely to find these eBooks. The eBooks in our Catalog all say "ONLINE" after the call number, and "electronic resource" after the title. The "URL" in the Catalog pages links to the database called eBooks on EbscoHost. ON campus access: When using the Catalog, open an eBook by clicking "URL" on the Catalog pages. OFF campus access: EBook licensing allows only current students to access our eBooks, so students must log in through a database link, which asks for a login. 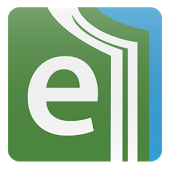 Write down any eBook titles found while using the Catalog, and then click to open: eBooks on EbscoHost. Supply your netID@my.lsco.edu and Password. Then search for eBooks by a title or a keyword. Navigating the eBook: At the opening screen of an eBook, find the table of contents and click the + signs to open book chapters and subchapters, then click the chapter hyperlinks to view pages. Tools on the right side of the screen allow you to print or email a few pages or a chapter, or cite the book. The cite icon gives full citation information for the book in several styles. Select APA style. Print also allows you to select a citation style. Access limits: Because of the licensing, only one person at a time can use a specific eBook in this database. If an eBook is left unused for 15 minutes, access goes away automatically. But you should be able to access it again. If you are searching in the Lamar University catalog, you are likely to run across some eBooks that were licensed for their campus only, which LSC-O users cannot access. What about downloading to mobile devices? You can put these eBooks on mobile devices with the EBSCO eBooks mobile app. Davis's Drug Guide for Nurses, 16th ed. Guide to Laboratory and Diagnostic Tests, 3rd ed. Handbook of Fluid, Electrolyte, and Acid-base Imbalances, 3rd ed. Dorland's Dictionary of Medical Acronyms & Abbreviations - 7th ed. Nurse's Pocket Guide: Diagnoses, Priortized Interventions, and Rationales, 14th ed. Nursing Diagnosis Reference Manual, Sparks and Taylor, 10th ed. Taber's Cyclopedic Medical Dictionary, 23rd ed. The database has many additional medical text books. At the opening screen, notice the information about a mobile app available to access these books over mobile devices.